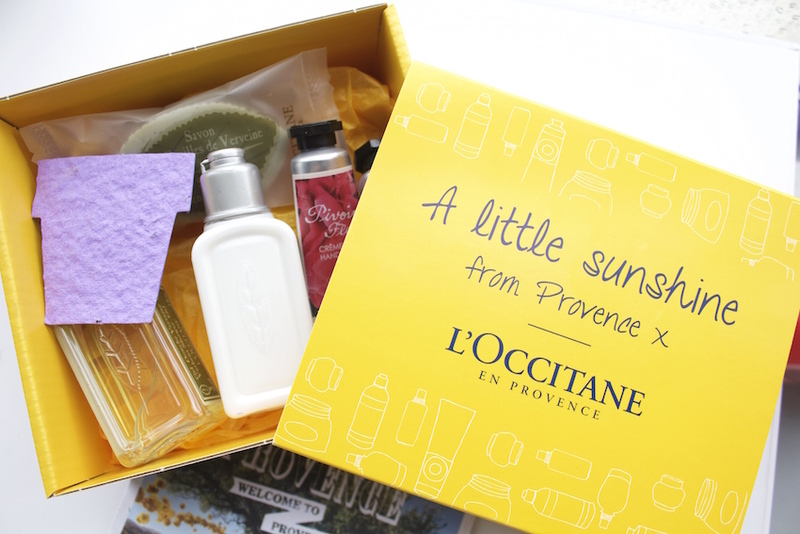 L'OCCITANE EN PROVENCE FREE BOX | RAWR BOWS. Hello!! I am someone who loves two things: cosmetics and free things. So you can imagine how happy free cosmetics make me (very, very happy). One of my friends got an email from L'Occitane saying that she could choose three friends to give a free box with some products, one of those friends was me (thank you, if you're reading this). I love L'Occitane, their products smell amazing and their creams are the best creams I've ever tried. Inside the pretty little box there was a hand cream, foot cream, shower gel, body lotion and soap. There was also a piece of purple paper which looks cute but have no idea what it is for. The hand cream is, as expected, simply amazing. I already owned 4 other L'Occitane hand creams so I think it's quite obvious that I love them. I had never tried any foot cream before so I can't compare this one to anything but it seems really hydrating and it smells really refreshing, like lemons. The shower gel, body lotion and soap all smell like verbena (there will be no vampires around wanting to bite you, so you're safe ;) ) which is a very citric smell, it smells a bit like the foot cream. The body lotion is very nourishing and the smell makes it feel really refreshing which is perfect for summer and spring. I haven't tried the shower gel, I think I'm gonna save it for when I travel this summer as it's quite small and easy to carry around. I haven't used the soap either and to be honest I don't think I will use it, not because I don't like it but because I never use bar soaps. 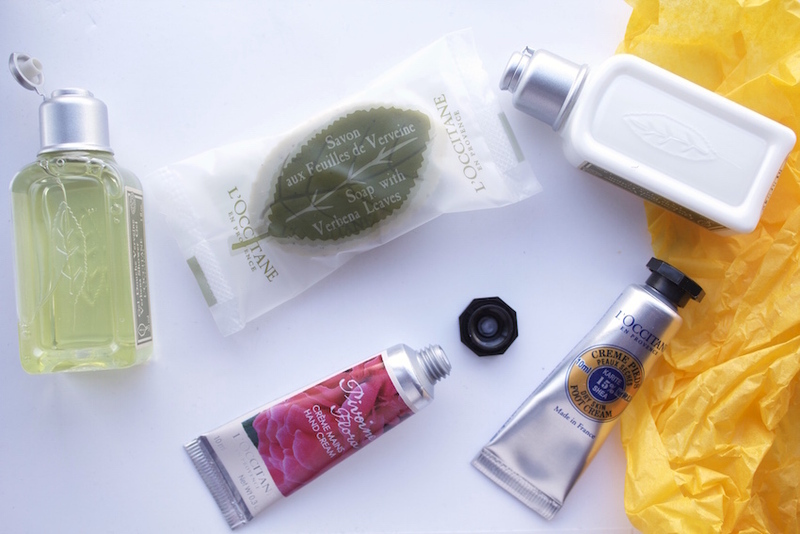 Do you like L'Occitane? What's your favourite product?